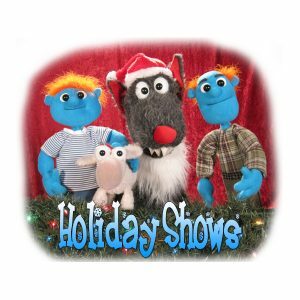 We have Winter Holiday versions of several of our shows including “Little Red Riding Hood”, “Jack and the Beanstalk”, and “The Boy Who Cried Wolf”. Each production preserves the essence of the original story but adds fun Holiday twists that audiences love! Great for November and December bookings!